Make a love statement on Valentine's Day with this gift of Smarty Rinku Teddy Bear which is filled with your good wishes. 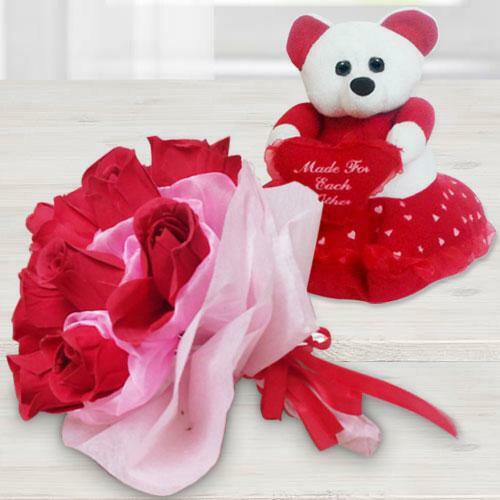 This is a gift of a cuddly Teddy Rinku Bear along with a soothing Red Roses Bouquet tied with a Red Satin Ribbon. Includes Special Valentine's Day Card.